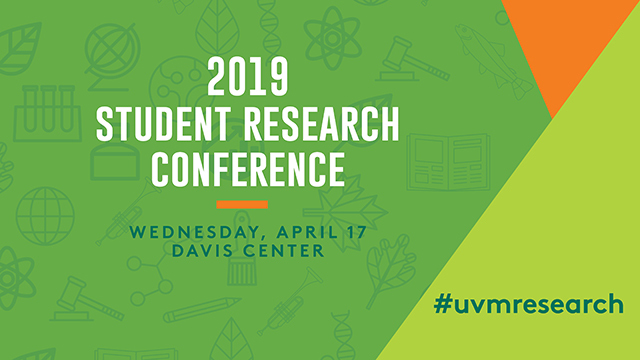 ScholarWorks @ UVM - UVM Student Research Conference: Does Aerobic Fitness Moderate the Association Between ADHD Symptoms and Academic Performance? A common impairment experienced by children with Attention-Deficit/Hyperactivity Disorder (ADHD) is academic underperformance in comparison to typically developing peers. For typically developing children, aerobic fitness has been positively associated with academic performance (Wittberg, Northrop & Cottrell, 2012; Castelli et al., 2007), and highlights the potential for aerobic fitness to temper the impact of ADHD symptoms on academic functioning. Accordingly, the goal of this study was to examine the impact of aerobic fitness on the association between ADHD symptoms and academic performance in school-aged children. The study sample included typically developing children (n = 105) and children at-risk for ADHD (n = 90) in grades K-2 (N = 195, Mage = 6.83, 52.8 % male, and 67.7 % Caucasian). Hierarchical regression analyses were used to test if aerobic fitness moderated the relation between children’s symptoms of inattention (IA) and hyperactivity/impulsivity (HI) and their academic performance. The interaction between IA and fitness was not significant (p = .280). However, IA was negatively associated with academic performance (b = -4.29, p < .001) whereas aerobic fitness was positively linked with academic performance (b = .27, p = .033). The interaction between HI symptoms and aerobic fitness predicting academic performance was significant (b = .34; p = .049). For children with lower levels of aerobic fitness, higher levels of HI symptom severity were associated with lower academic performance (b = -3.85, p < .001). However, at higher levels of aerobic fitness, HI symptom severity was not associated with academic performance (b = -.88, p = .418). These results highlight the possibility that aerobic fitness could be a protective factor against academic impairment for children with higher levels of HI symptoms, assisting them in attaining similar levels of academic performance in comparison to their peers who do not experience the same behavioral challenges.